Rain is one of the most powerful ways to create an atmospheric mood on screen. 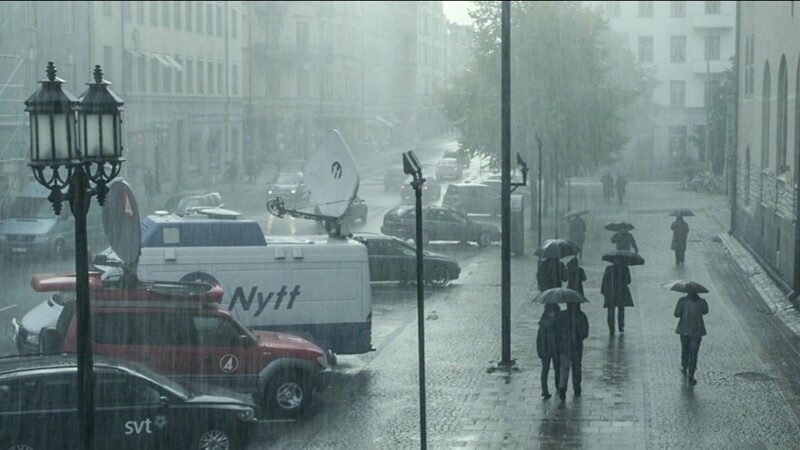 Creating rainy atmosphere and making it realistic is a job for the special effects experts. We can create realistic rainstorms, light showers, drizzle, misty atmospheres, monsoon deluges, torrents and floods. They all require a great deal of special effects expertise and a healthy dose of imagination. At FX team, we have both. The rain systems we use include traditional but versatile rain stands and an overhead crane rain bar, all of which can create rain effects from drizzle to a torrential downpour.